바쁜 한 해였습니다. 벌써 1년이 지났습니다. 2019 년 새해를 맞이하는 모든 한인여선교회 전국연합회 회원님 가정들 위에 하나님의 축복과 은총이 넘치길 기도합니다. 여러분들의 따뜻한 사랑과 간절한 기도가 있었고 물질로 도와주심이 있었기에 2018년의 모든 사역을 할수있었습니다. 진심으로 감사와 하나님의 축복을 빕니다. 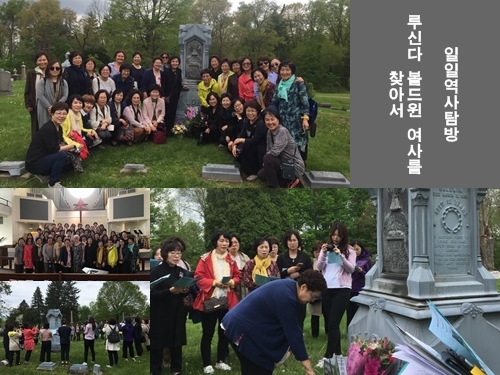 4년 만에 한번씩 열리는 4년차 대회(United Methodist Women Assembly) 가 여선교회(United Methodist Women) 150주년 행사로 5월에 Columbus, Ohio 에서 열렸습니다. 6,000 여명이 참석한 국제적인 행사였으며, 주제는 담대함( Bold) 이었습니다. 한국에서도 여선교회 회원들과 영우먼들 30여명이 참석했습니다. 뉴욕 연회 한인여선교회 연합회의 소고춤은 너무나 아름다웠습니다. 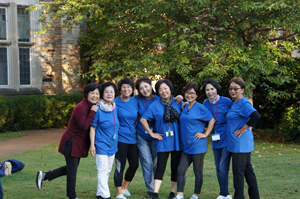 10년 만에 열린 Washington DC 세미나는 참가한 분들이 기대한것 보다 만족하였고, 모르던 많은 것을 배웠고, 도전받았습니다. 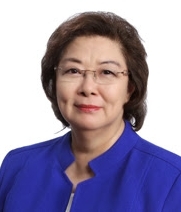 또한 연합감리교회와 UMW가 워싱톤 디시에서 사회정의를 위한 사역에 이렇게 긴 역사를 가지고 있으며 지금도 활동하고 있는 것에 대해서 무척 자랑스러웠습니다. 전도부인 사역으로 몽골, 중앙아시아 (카자흐스탄, 키르키스탄등), 유라시아에 선교의 영역을 넓히는 하나님의 풍성한 축복이 있었습니다. 개인적으로는 12월5일에 심방조동 시술(Atrial Flutter Ablation)을 했습니다. 맥박이 빨리뛰고 건너뛰었습니다. 수술실에 들어가서 마취하려고 할 때 마취에서 못깨어나면 어쩌나 하는걱정을 했습니다. 그러나 모든 것을 하나님께 맡기는 수 밖에 없었습니다. 많은 분들의 중보 기도 덕분에 무사히 시술을 마쳤습니다. 지금은 하나님의 은혜로 완쾌 되었습니다. 이제 옛것은 잊어버리고 주님께서 새로운 일을 우리에게 행하실 것을 믿고 새해 2019년도에도 온 천하 땅 끝까지 복음의 증인이 되어 아름다운 성령의 열매들을 충만히 맺으시길 간절히 기도합니다. 저희가 올 한 해 예수님 한분만을 바라보며 예수님을 닮기까지 믿음의 길을 달려온 것 같이 새해도 달려갑시다. 끝까지 포기하지 말고 기도하며 꿈을 이루는 한 해가 되기를 소망합니다. It was very busy and blessed year. Time flies so fast. I pray that The Lord will bless all members of NNKUMw with grace and love in the New Year. 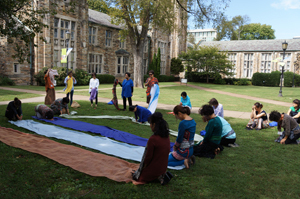 We were able to carry on mission ministries because of your eager prayers and love offerings. I thank all of you from bottom of my heart. May God bless you. 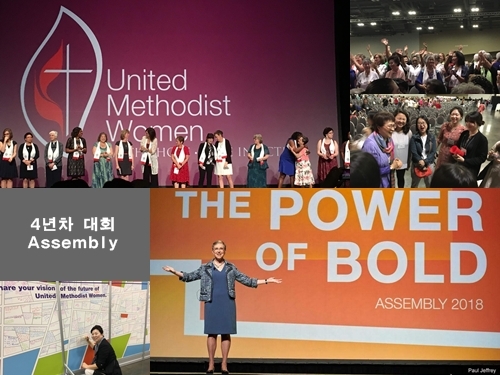 2018 UMW Assembly was held from May 17-20 in Columbus, Ohio. The theme was “Bold”. UMW started 150 years ago. 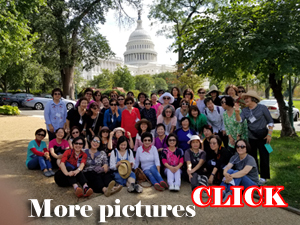 This was a Global event, more than 6,000 women of diverse ethnic, racial and age groups gathered around the world. 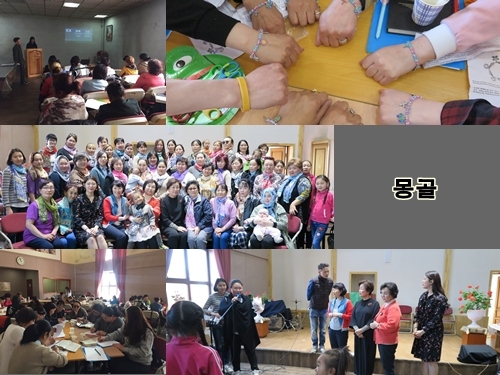 There were about 30 Korean Methodist women and young ladies participated in this Assembly. 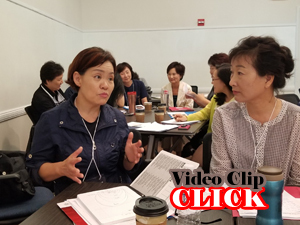 New York Korean UMW sisters beautifully presented “small drum dance”. It has been 10 years since we had a DC Seminar. The participants were very satisfied about the program. They learned a lot and were much challenged. We were so proud of UMW having a long history of fighting for social justice in DC. 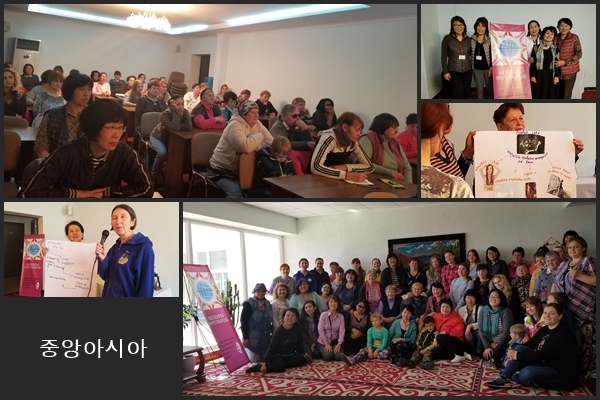 The Bible Women’s Program training in Central Asia (Kazakhstan, Kyrgyzstan..),Mongolia and Eurasia have successfully carried out with His blessings, too. I had an Atrial Flutter Ablation performed on 12/5/18. My heart beat was too fast and skipping the beats. When I was laying on the operation table, I was worried ”what happen if I don’t wake up from anesthesia? I had to pray entrusting God. My ablation went well without any complication. I am recovered due to your prayers. Thank God. Now we should not remember about old things and trust God that He is about to do new things for us. We should be witnesses to Good News and pray that we have fruits of Holy Spirit in 2019. I also pray that we will focus on Jesus only, until we become like Jesus. Let’s pray and hope that we never give up achieving our goals for His Kindom in 2019. 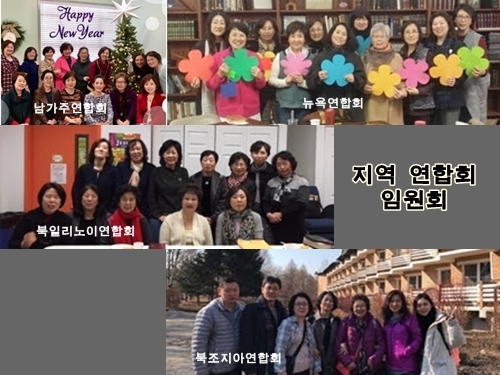 2019년도 전국연합회 한인여선교회 뉴스레터는 매월말에 발행됨을 알려 드립니다. 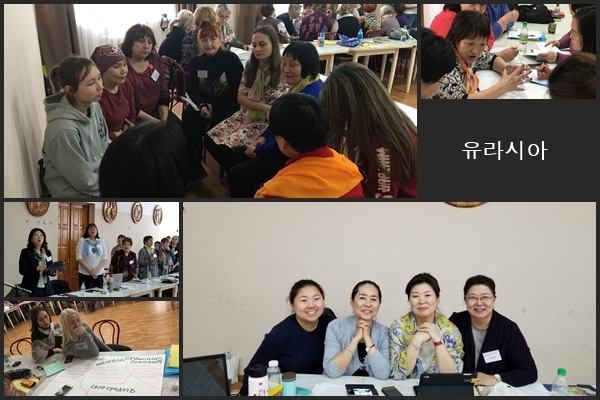 Please note that the 2019 NNKUMw Network Newsletter will be issued at the end of each month.